October 2019 marks the 100th anniversary of the Volstead Act, which put the enforcement teeth into Prohibition. But the law didn't stop George Remus from cornering the boozy, illegal liquor marketplace and amassing a fortune that eclipsed $200 million (the equivalent of about $4.75 billion today). As eminent documentarian Ken Burns proclaimed, "Remus was to bootlegging what Rockefeller was to oil." Critically-acclaimed historian and biographer Bob Batchelor has unearthed a treasure trove of untapped historical archives to cover the life, times, and crimes of the criminal mastermind who ran the largest bootlegging operation in America. 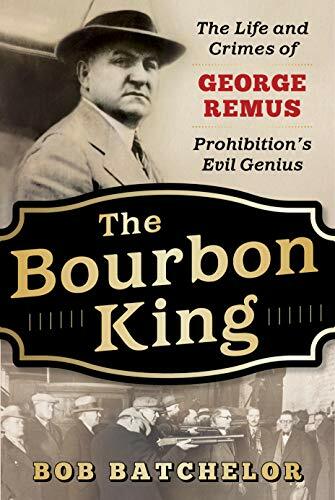 George Remus bought an empire of distilleries on "The Bourbon Trail" and used his other profession, as a pharmacist, to profit off loopholes in the law. He spent hundreds of millions bribing government officials in the Harding Administration, directly tied to Attorney General Harry Daugherty and Harding's "Ohio Gang." And he created a roaring, opulent lifestyle that epitomized the Jazz Age over which he ruled. So extravagant was this Bourbon King's lifestyle that his lush parties served as an inspiration for The Great Gatsby. But Remus came crashing down in one of the most sensational murder cases in American history. After serving a brief prison sentence, he was driven mad by his cheating wife Imogene and Franklin Dodge, the Prohibition Bureau agent who not only put him in jail, but also seduced her before stealing his riches. Remus murdered his wife in cold-blood, setting loose the most media-saturated trial of the Jazz Age. Claiming a condition that he invented — temporary maniacal insanity — Remus took on Charles Taft, son of former President and current Chief Justice William Howard Taft, in a trial that grabbed national headlines. Remus won over the star-struck jury with lurid allegations about his lost millions at the hands of his two-timing wife and the federal agent who stole her away. Love, murder, mountains of cash, bribery, political intrigue, rivers of bourbon, and a grand spectacle like few before it, the tale of George Remus transcends the era and provides readers with a lens into the dark heart of Prohibition's "Bourbon Trail," the thirst of the American people, and their fascination with crime.